There are so many different ways today that you can find to help you gain better focus and levels of concentration that it can be difficult for you to determine just which is the best approach for you to take. Between all of the tips, techniques and supplements that are on the market today, it can all be very confusing to you. That is why it is helpful for you to understand certain ingredients that you may want to look for such as acetyl L-carnitine, a common ingredient in brain enhancement that has shown to help improve overall brain function. Acetyl L-carnitine is an amino acid that is produced naturally in the human body that helps provide the body with the necessary levels of energy that it needs. This amino acid is commonly used in the treatment of many different disorders today, including Alzheimer’s disease, poor brain circulation, diabetic nerve pain, depression and age-related memory loss. This amino acid helps to produce the necessary energy for the heart and the brain so that proper function and muscle movement can take place along with the enhancement of many other of the body processes. Having a boost in this amino acid in your system can help provide you with the extra energy that you need to achieve better levels of focus and attention. Because of the positive effects that it has shown in treating many of the disorders mentioned, acetyl L-carnitine is a prominent ingredient in many of the top natural brain supplements found in the market today. This amino acid is incorporated along with other ingredients that are proven to be effective in helping to boost the energy, blood flow to the brain, levels of focus and concentration that you need in order to help you get through each day with better success. Dosage that is taken of this particular amino acid is dependent on the particular ingredients used in the supplements you are taking. These side effects often associated with this substance are generally considered to be quite mild and common to other brain enhancement ingredients, such as nausea, upset stomach and restlessness. Other than these side effects, the substance is considered to be quite safe for most adults though you should always consult your physician to make sure that it is safe for you based on any medical conditions that you may have. 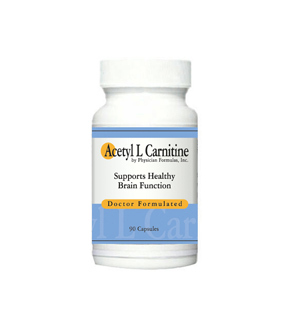 Acetyl L-carnitine has proven to be very effective in its uses throughout the medical world and has thus been very effective in its use with brain supplements. It is certainly an ingredient worth looking for when you are considering different supplements for yourself and when you visit Smart Pill Guide you can check the detailed list of ingredients of all of the top products to see if this one is one that is used. You can also use the website to perform comparisons among the top products so you can easily decide which one will be most effective for you in providing the better levels of concentration and focus that you need.